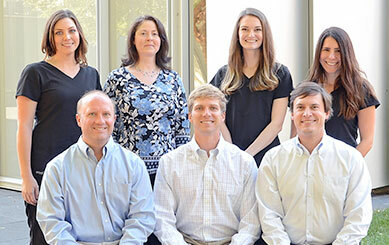 Our desire is to see every patient leave our office in excellent dental health and enjoying confidence in their smile. 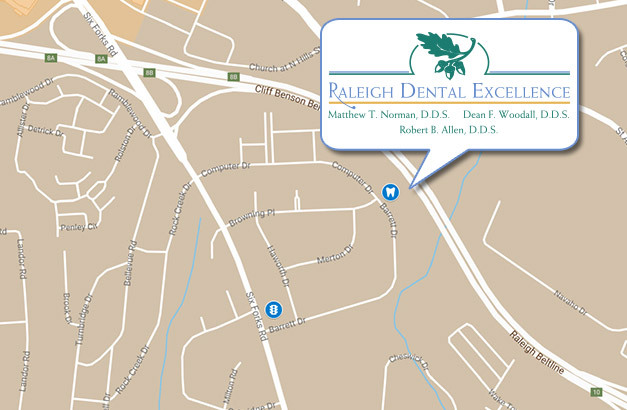 Welcome to Raleigh Dental Excellence. We have served residents of Raleigh and neighboring communities since 2004. We treat patients of all ages, which means we can assist your entire family in maintaining healthy, happy smiles for a lifetime. We also accept new patients, and have made our new patient paperwork available on our website for you to download and complete at your convenience. Our office has a friendly, relaxing atmosphere, and our professional staff will take good care of you at every visit by making you feel at ease and providing prompt attention. First time visiting Dr. Allen's office. His staff made me feel very comfortable. Very professional. I'm glad that I finally found a dentist in Raleigh. Great people with great tools at their disposal. I've been to many dentist offices in my life, and Dr. Allen's team is the best! I feel welcome at this practice. Beth at the desk is friendly and helpful. Jill was very thorough and gentle cleaning my teeth. Dr Allen was great! My family has had a great experience here! Dr. Allen performed a filling on my 9 year old daughter. He and his staff were fantastic. She didn't feel a thing and was smiling all the way home. Awesome job! We use advanced technology to take a conservative approach to treatment. His primary goal is to keep your smile attractive and healthy through preventive care. When treatment is necessary, he uses restorative and cosmetic treatments that look natural and help preserve your oral health. Treatments available in our office include routine dental cleanings, checkups, porcelain veneers, crowns, bridges, dentures and teeth whitening. We also offer treatment options for patients who have periodontal disease. If you are in search of a dentist who will care for your family’s oral health on a personal level, please contact our office to schedule an appointment. Our desire is to see every patient leave our office in excellent dental health and enjoying confidence in their smile. We offer a variety of payment options and are in several insurance networks. SEO for Dentists by Prodentite.